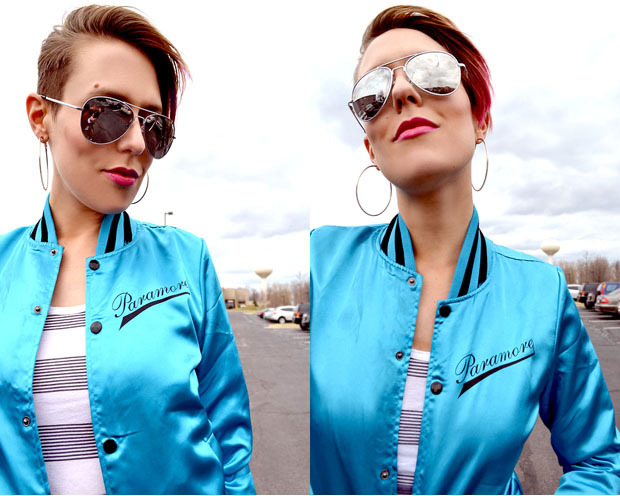 dressed up like a lady: Satin jacket! You don't need another reason to love Paramore, but you've got one. They're bringing back the satin tour jacket -- a particularly awesome 70's/80's wardrobe staple. 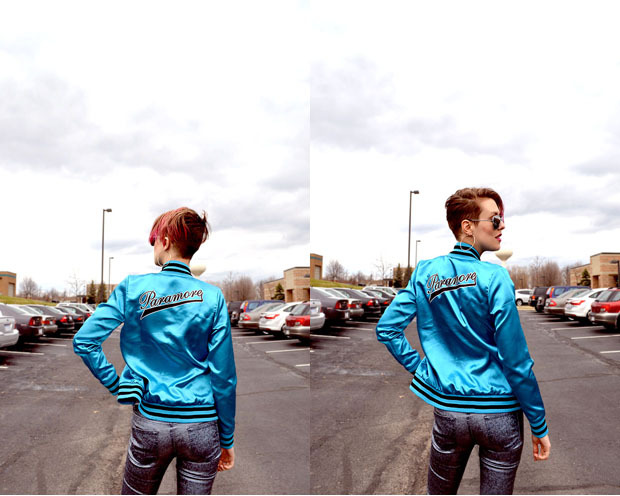 to be honest, Im not the biggest fan of paramore but I am your jacket's number one fan! Love that! You styled it so well too! That's so awesome! And you styled it great. love those pants! I love those skinny jeans. By the way, not sure if you've recently changed something on your site, but about a week or so ago I have been getting a warning from Avast whenever I open your blog. Love this outfit, but I think I really love the close ups of your hair even more :) I'm considering the chop!